When you only have time for a quickie. This is the latest in our series of local rides. If you have a ride you'd like to share contact us.In our fourth episode Brad and I visited Barnsdall, Oklahoma in Osage County. You might remember it as the town with the oil well in the middle of Main Street. But it turns out that's not the only attraction to see near Barnsdall. About two miles south of town is a little known jewel- courtesy of the Army Corps of Engineers. It's an 1100-acre body of water called Birch Lake. 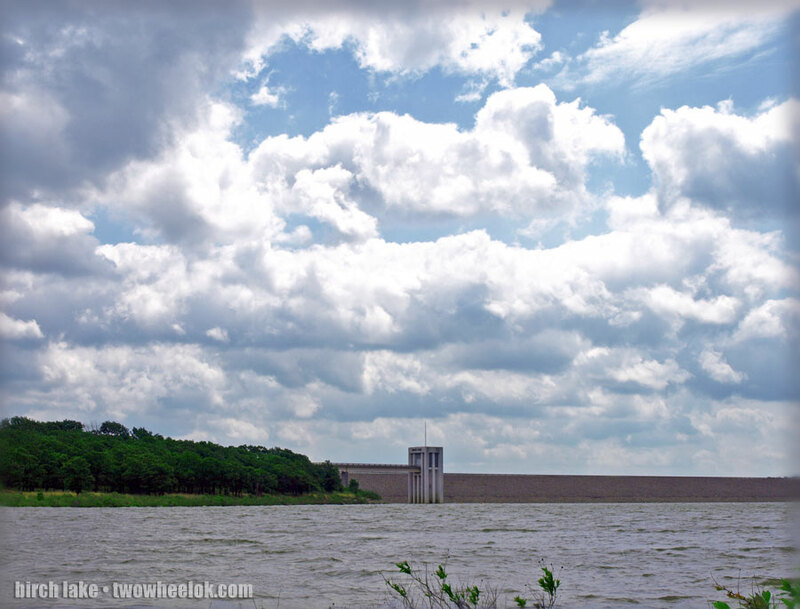 Built in 1973 the lake is relatively small, but offers three park areas, campsites, RV sites and a boat ramp. The surrounding area is rolling hills covered with blackjack, pin oak and dotted with sandstone. Near Birch Lake you'll also find an historic oil refinery complex and remnants of the Midland Valley Railway. Most people have never heard of Birch Lake. Those that have usually get there via Barnsdall (go to the oil well, turn left). But of course we prefer to meander to our destination- so we found a great road that leads from Avant through Osage County to the back side of Birch Lake. It's only about 15 miles, but it's a nice little ride and not far from Skiatook Lake, the Tallgras Prairie or Woolaroc Museum. Barnsdall was once Bigheart, named for a famous chief. It was renamed for a famous opil man. Ironically the oil company started there was Bigheart.